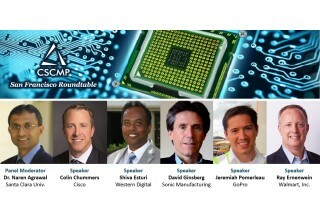 Featured Speakers to Represent Cisco, GoPro, Sonic Manufacturing, Walmart E-commerce, and Western Digital. 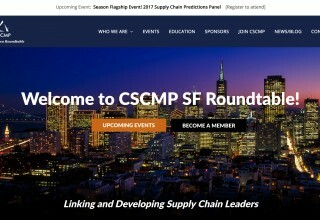 SAN FRANCISCO, February 14, 2018	(Newswire.com) - Western Digital has been announced as the sponsor for the upcoming CSCMP San Francisco Roundtable supply chain networking and dinner event titled “Winning Supply Chain Strategies in High-Tech Industries.” The event takes place on February 22 at the GoPro ‘Barn,’ at corporate headquarters in San Mateo, California, runs from 5:30 to 8:30 p.m. and features senior supply chain executives representing Cisco, GoPro, Sonic Manufacturing, Walmart E-commerce, and Western Digital. As has become custom for this dynamic San Francisco Roundtable, when hosting at GoPro headquarters, participants can expect some interactive trivia with exciting GoPro prizes! Event Chair Moin Islam of Western Digital invites the panel, to be moderated by Dr. Naren Agrawal of the Leavey School of Business, Santa Clara University, to address winning supply chain strategies that high-tech companies are adapting to optimize their supply chains in the competing directions of cost, speed, and agility. Serving 9,000+ members worldwide, the Council of Supply Chain Management Professionals (www.cscmp.org) is a non-profit membership association that helps supply chain managers and executives connect, collaborate and becomes more effective professionals. 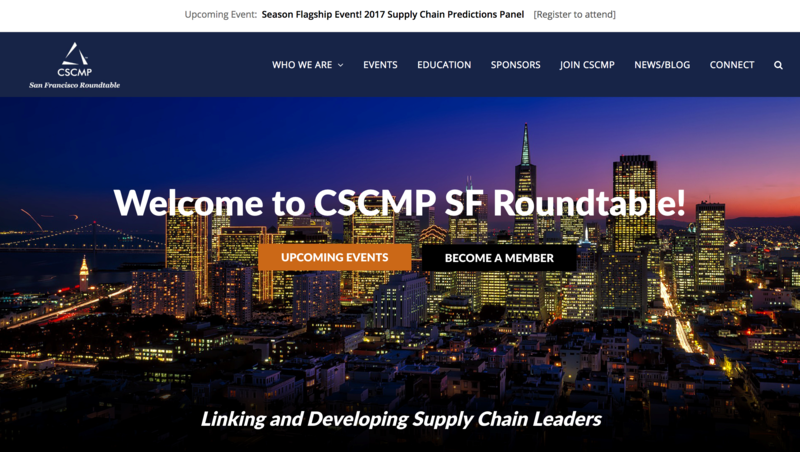 One of the most dynamic of its 100+ Roundtables around the globe, the San Francisco CSCMP provides regular educational events, networking opportunities, and a scholarship program. For more information, please visit www.cscmpsfrt.org. This year the Council of Supply Chain Management Professionals celebrates its 51 year anniversary as the leading worldwide professional association dedicated to the education, research, and advancement of the supply chain management profession.